Posted on Wednesday, February 06, 2019 by "T". 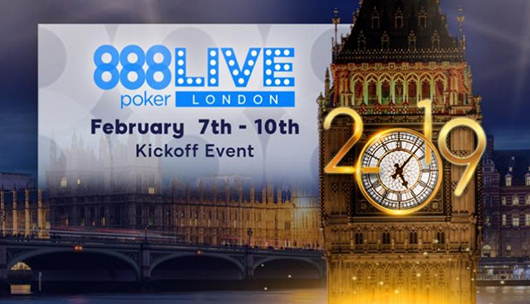 On February 7 to 10, 888poker LIVE is back starting with their Kickoff Event in London. The very first live event of the 888poker LIVE in 2019 would be held once more at the Aspers Casino in Stratford, London. Players can expect to see again the 888 Shot Clock being used and the comeback of the Big Blind Ante that speeds up the game and enables players to see more hands. The series runs from February 7 to 10, featuring a £440 buy-in single event with an incredible £120,000 guarantee. Not only that, 888poker is also giving away a 2019 WSOP package as an extra prize for the top winner! Check out the 888LIVE London Kickoff 2019 schedule here. All 888poker players have the chance to participate and win a seat to the 2019 WSOP Main Event via satellites, for as low as 1 cent! Get $88 cash bonus when joining 888poker - no deposit required! Players residing in the UK will receive a £20 Bonus Package instead. 18+, New Customers Only, Gamble Responsibly - www.begambleaware.org - T&C's Apply. 6 comments for "888poker LIVE starts 2019 Season in London"
It would be a great experience to play in one of these events and i am very jealous of anyone who is lucky enough to do it. Maybe one day when my lottery win comes through i can take my seat at the tables!! Another live series from a big site like 888poker. a ticket for just one cent. For players who dream of playing in live tournaments, they must always take advantage of this opportunity. The buy-in of 440 pounds is not too high but if 888 poker will offer more seats, it will be very good. 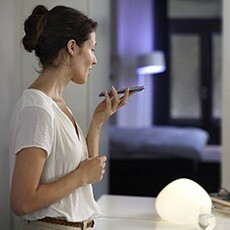 To get a qualification of 440 pounds with few cents or 6-7 dollars is an excellent thing. Then I must be the only one who feels this prizepool is smaller than it should be. 120k is nice and all, but a buyin close to five hundos could buy you a lot more guaranteed money online almost every other day on jokerstars, IMO. London is not cheap, either.